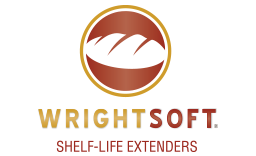 Offering a cost-effective concentrated 3:1 use ratio compared to ordinary emulsifiers, WrightSoft® extenders are ideal for use in a wide array of commercial applications, including yeast-raised sweet goods, pan breads, rolls and artisan breads. WE 50131 Wright Soft #1 is an off white powdered enzyme blend that extends shelf life and improves crumb softness in yeast-raised products. It can be used in baked and fried products. INGREDIENT LABELING: Guar gum, enzymes, wheat flour. INGREDIENT LABELING: Wheat flour, enzymes. INGREDIENT LABELING: Guar gum, enzymes.